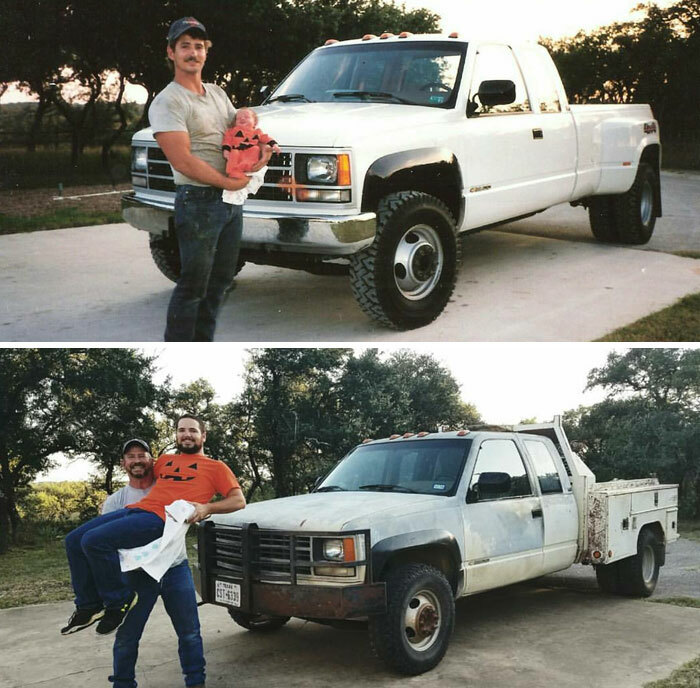 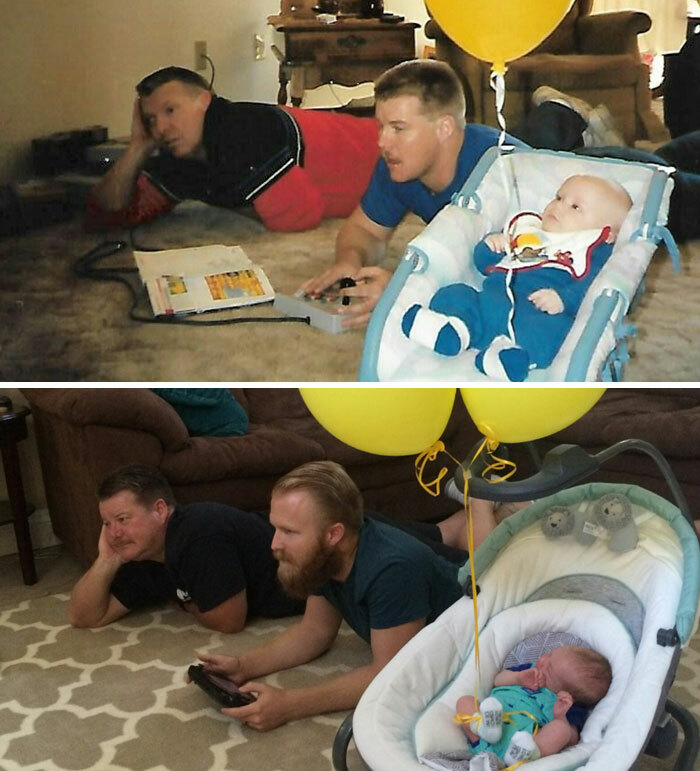 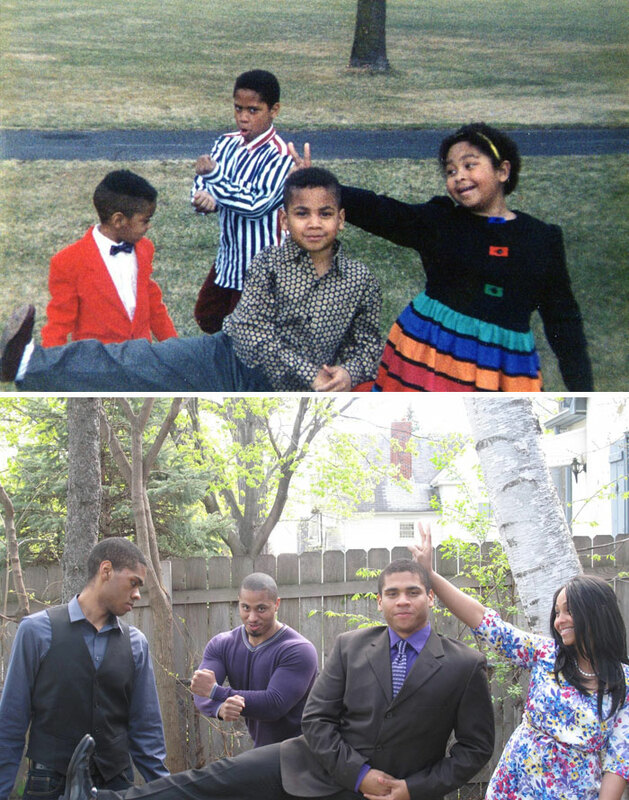 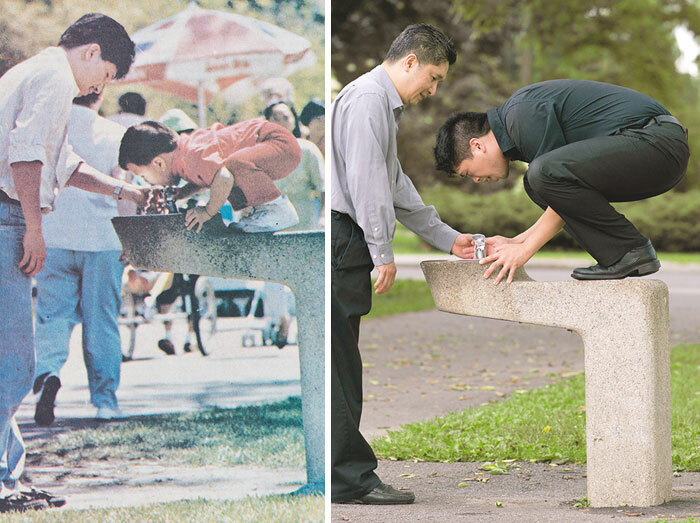 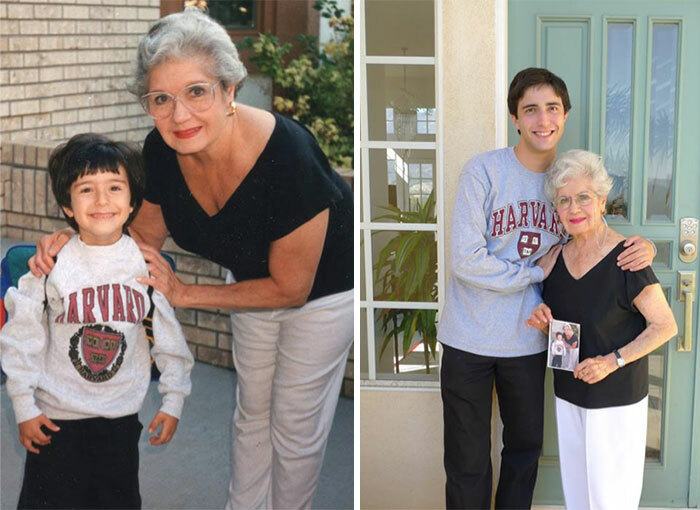 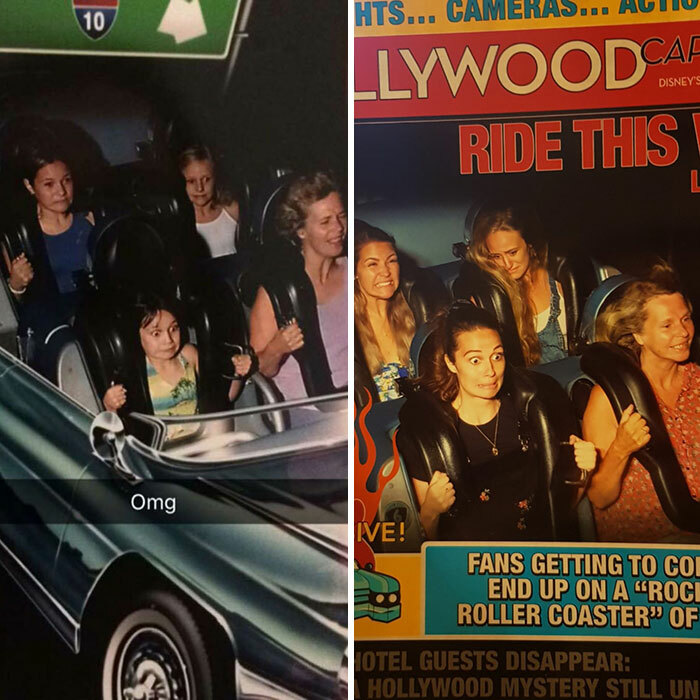 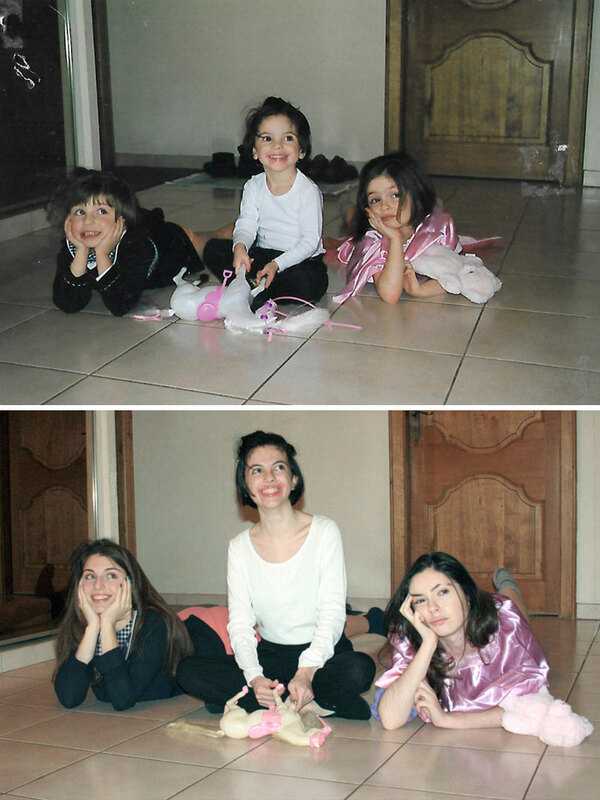 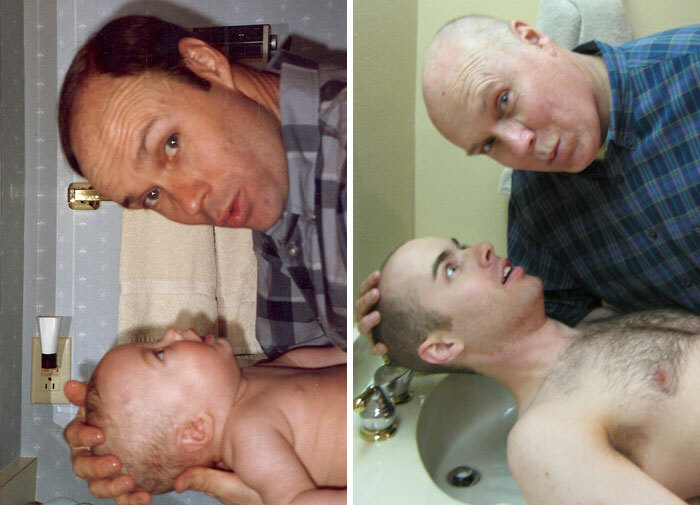 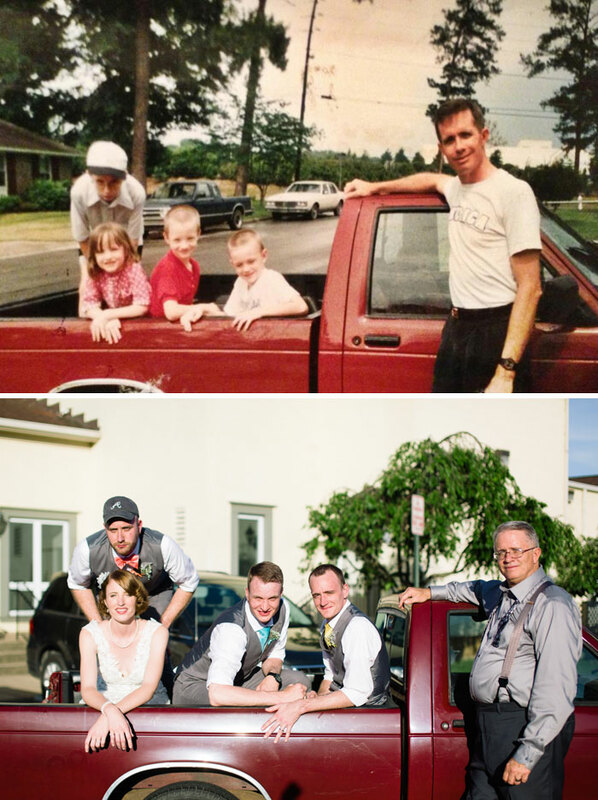 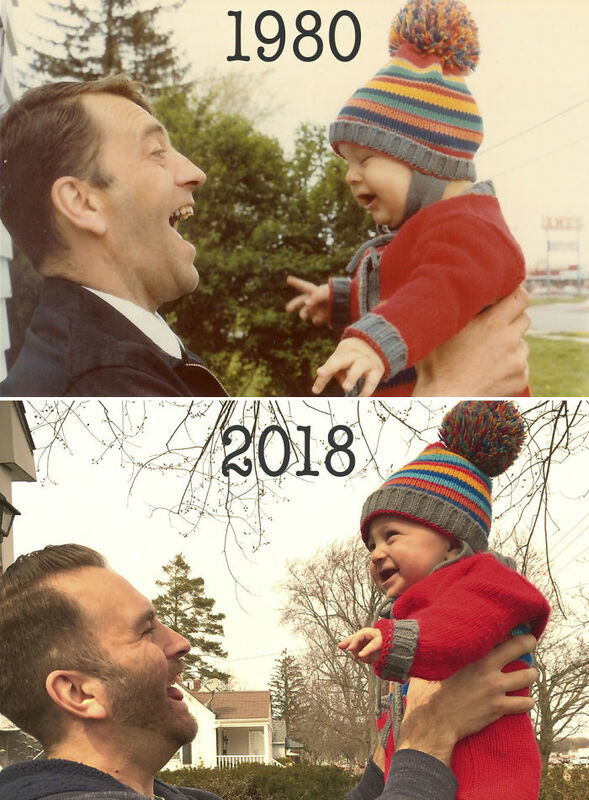 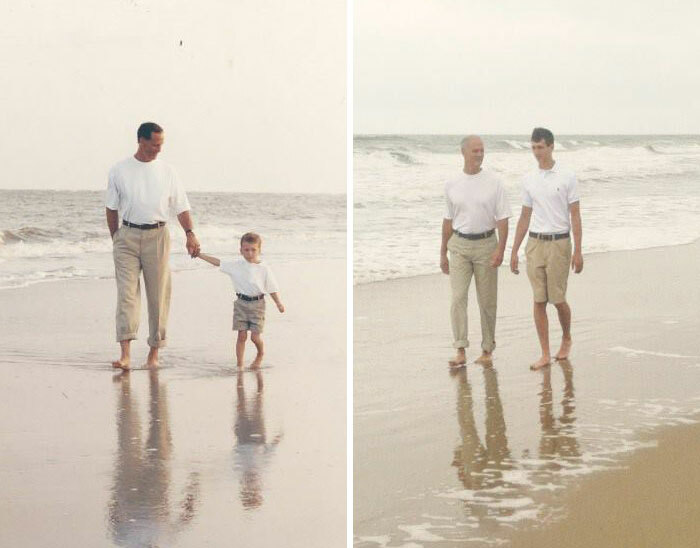 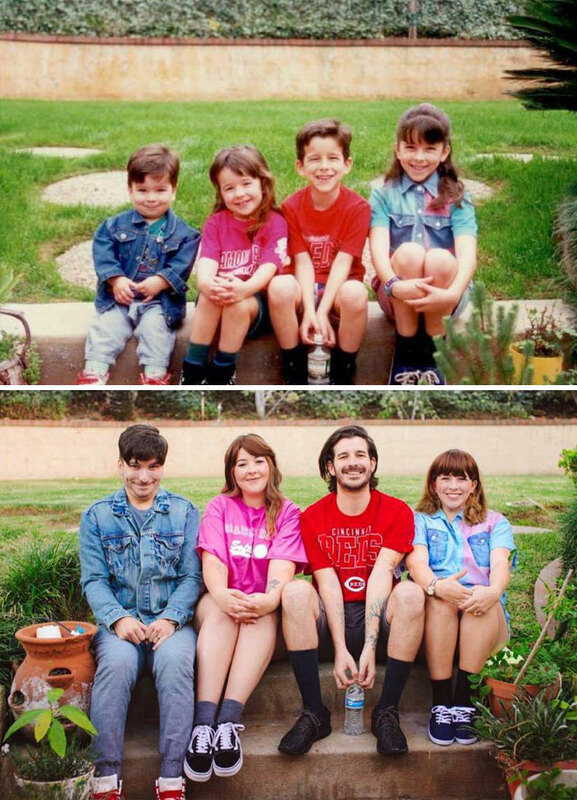 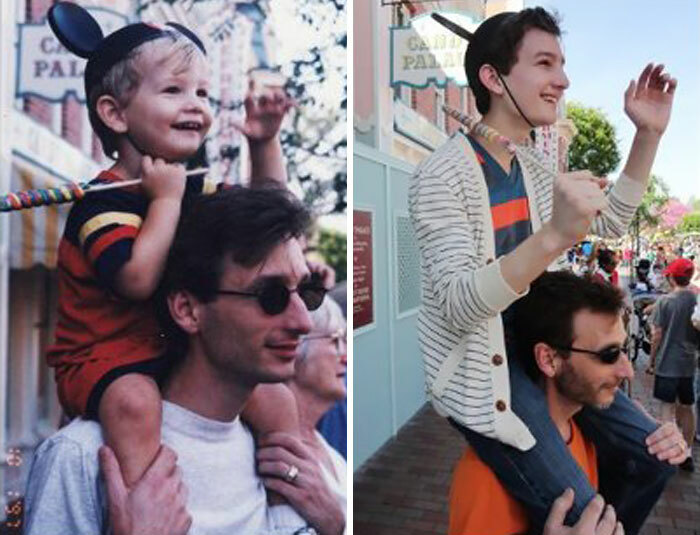 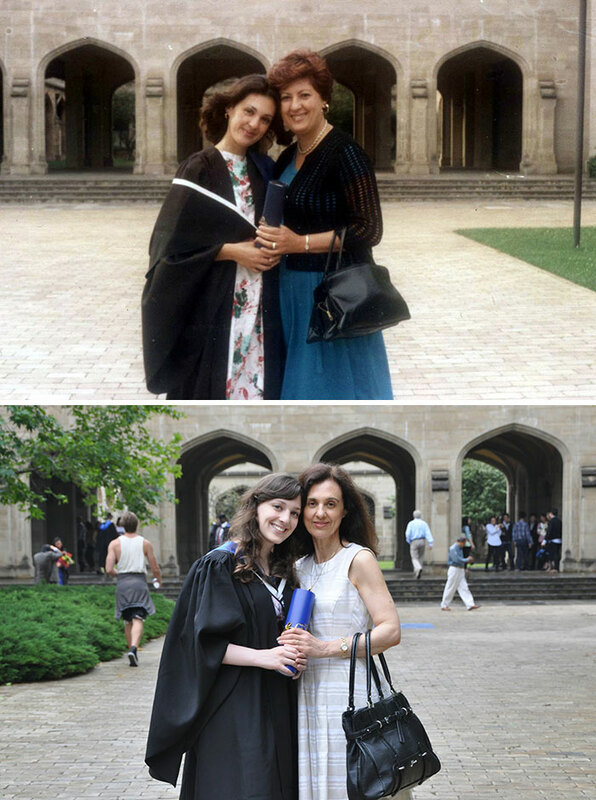 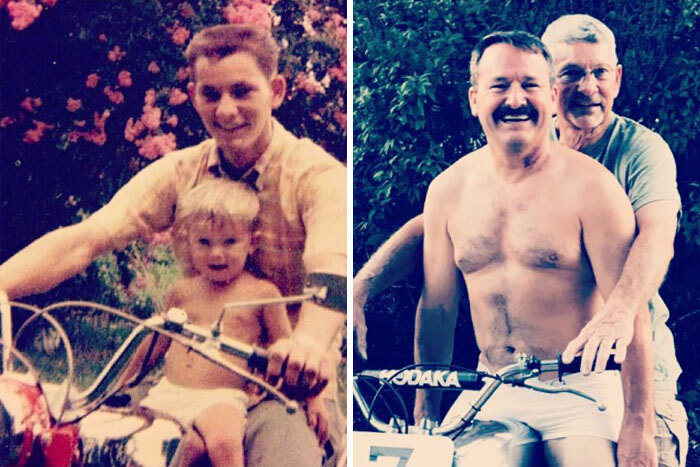 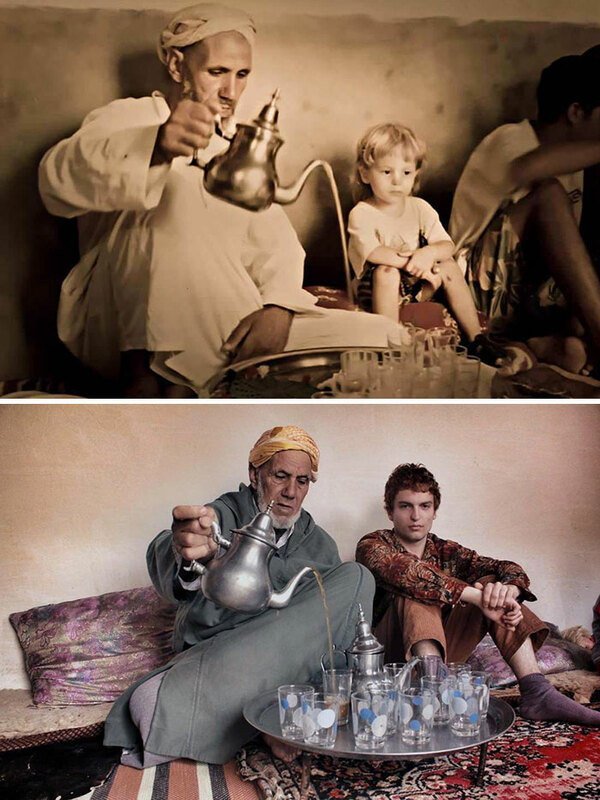 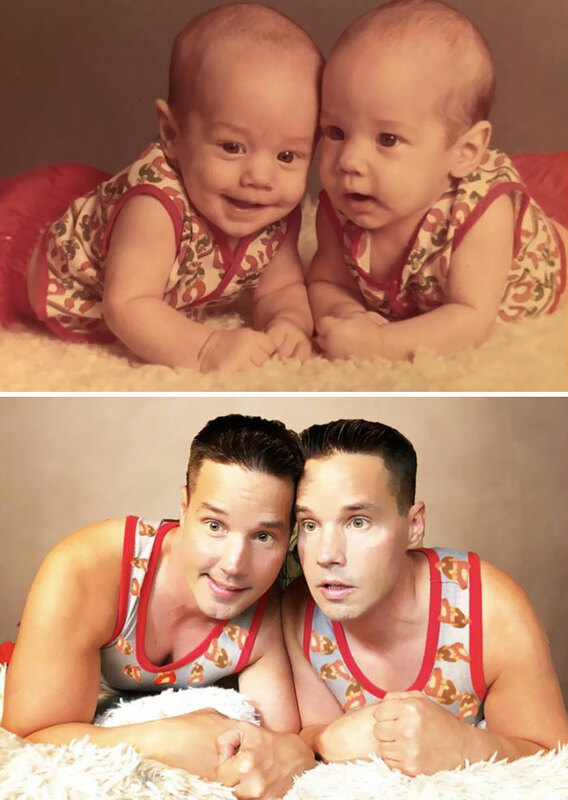 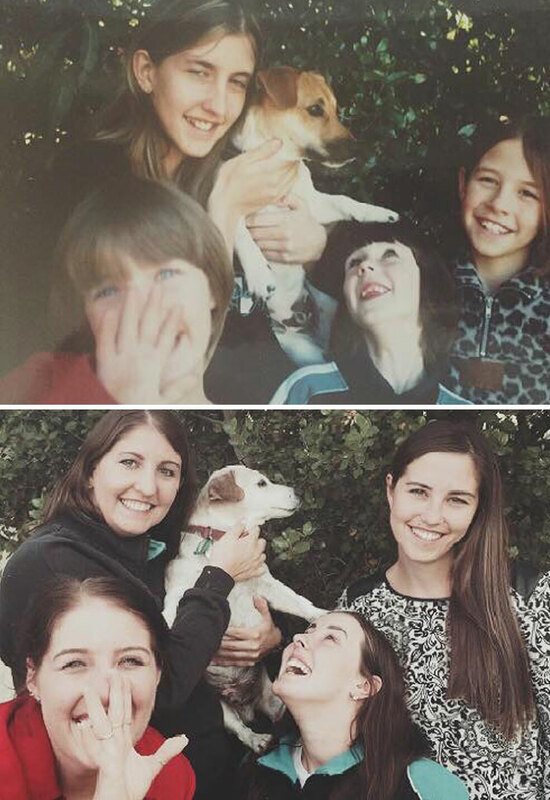 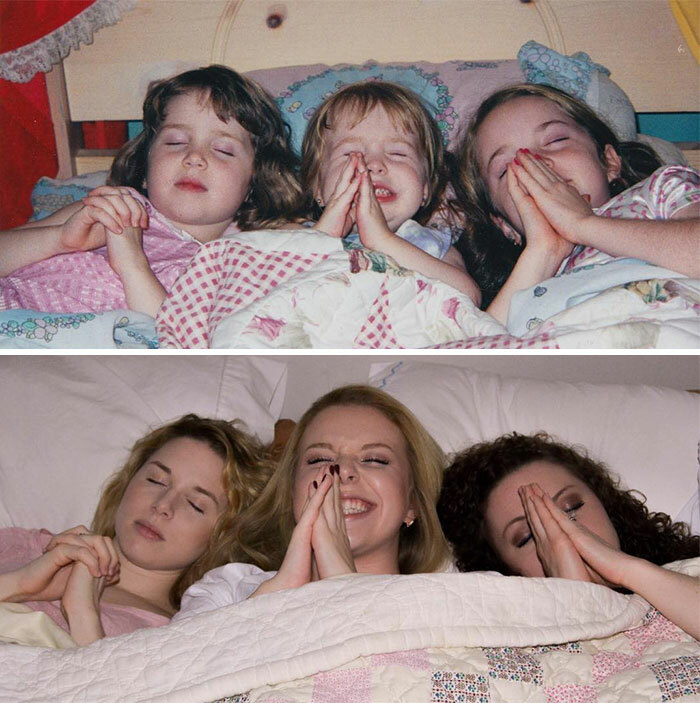 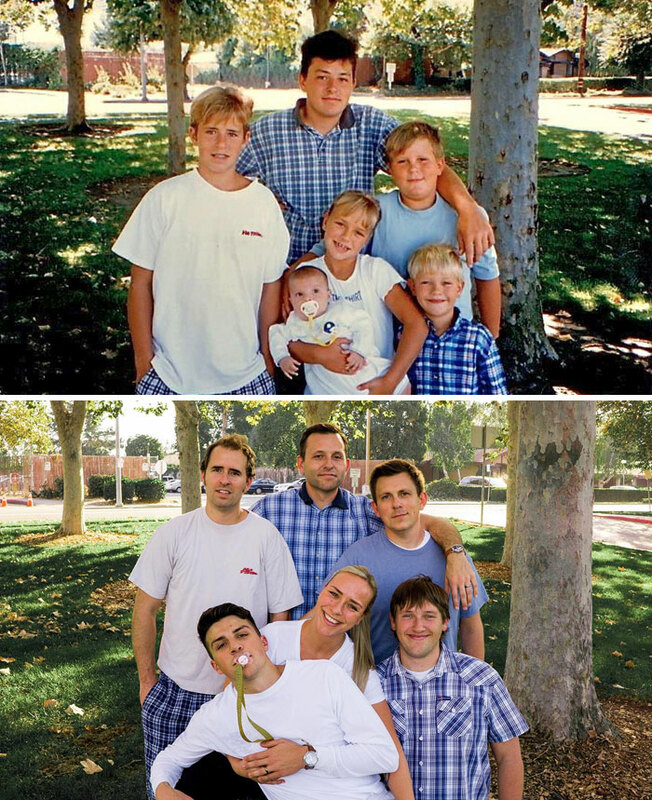 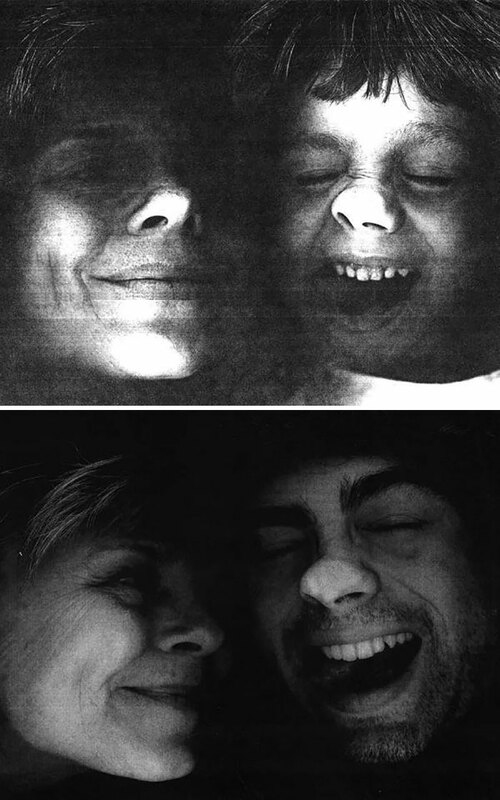 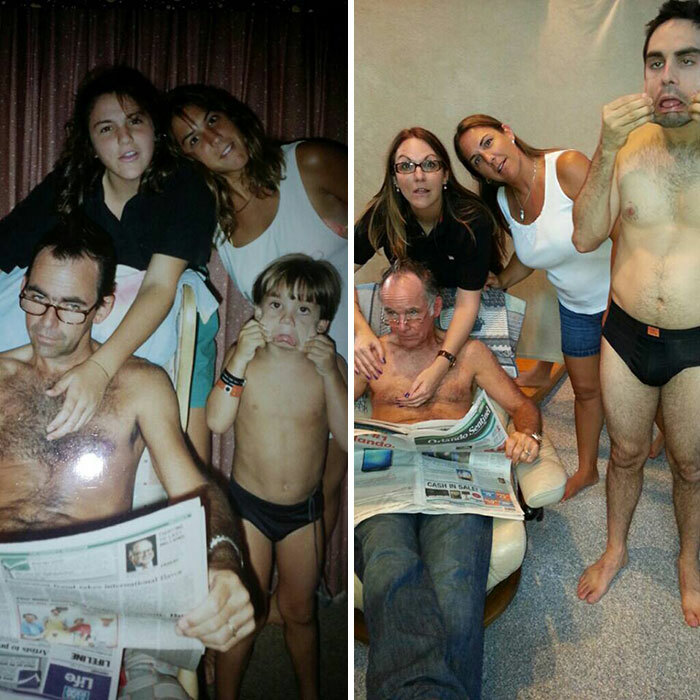 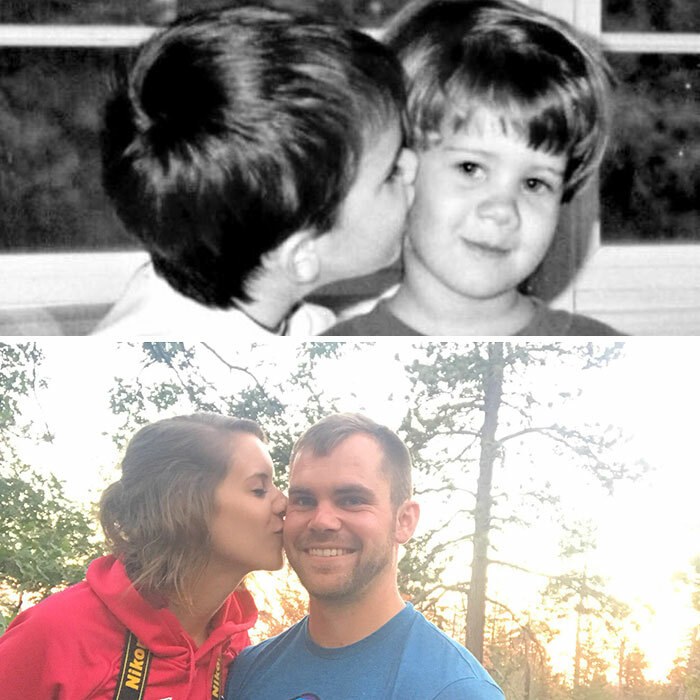 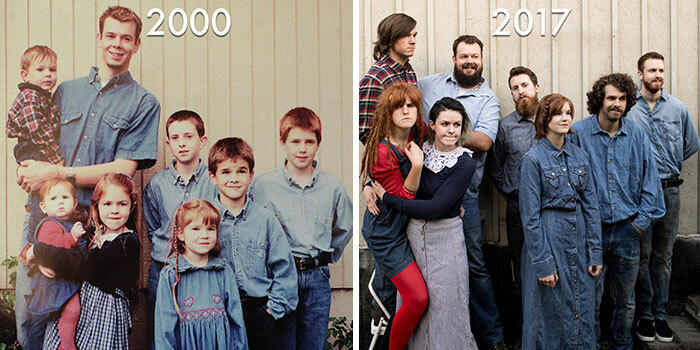 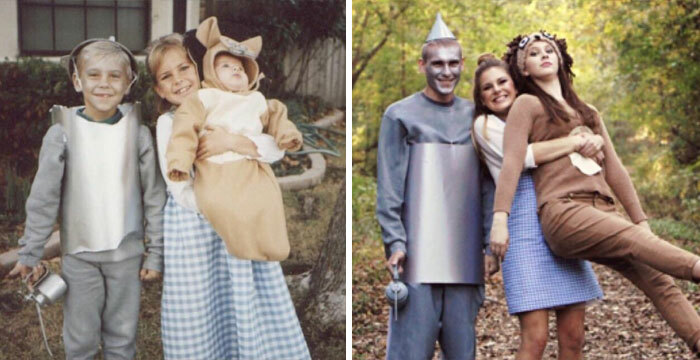 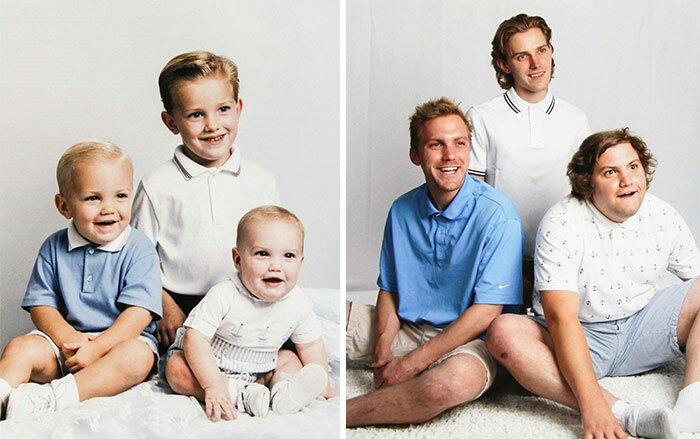 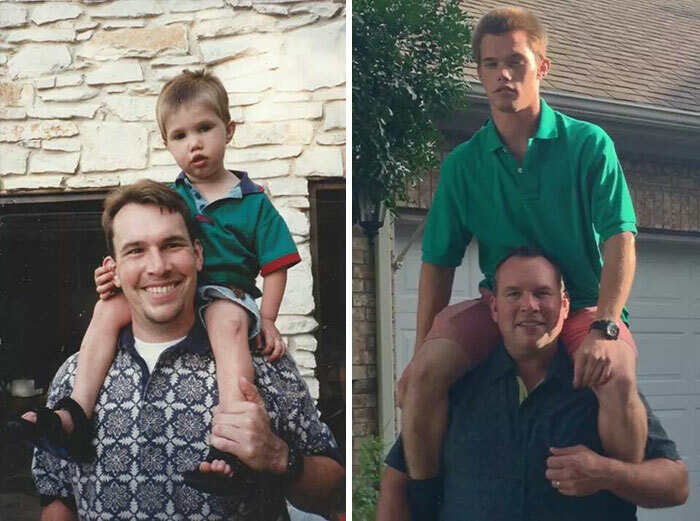 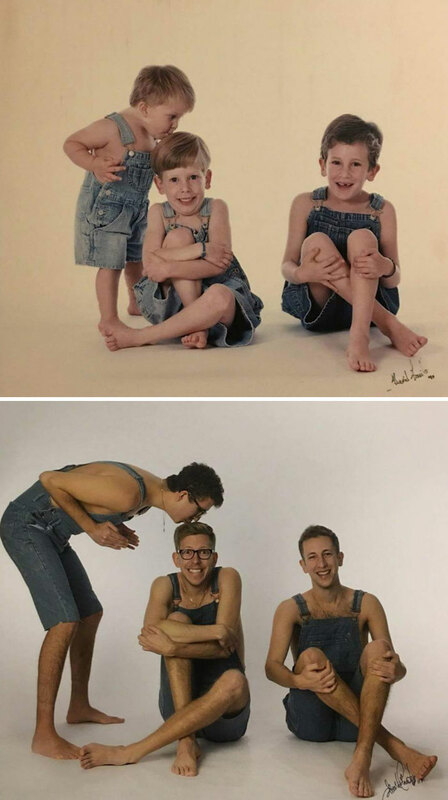 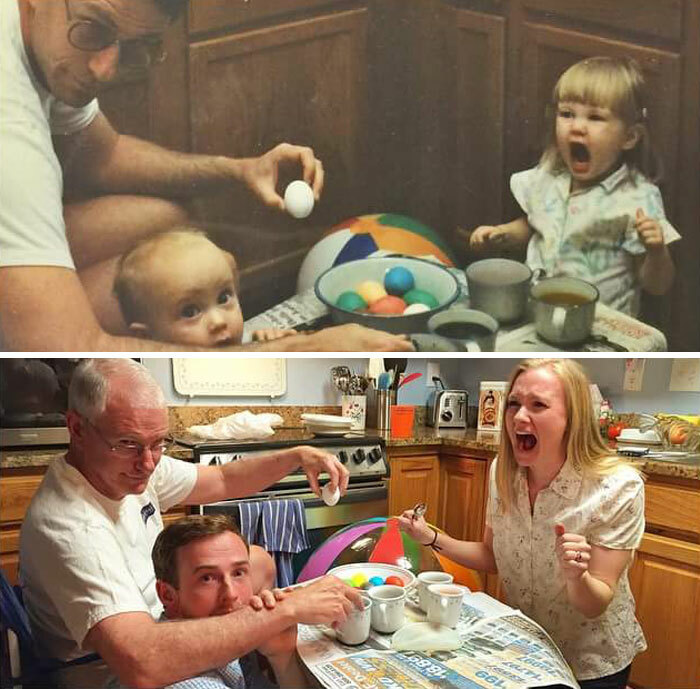 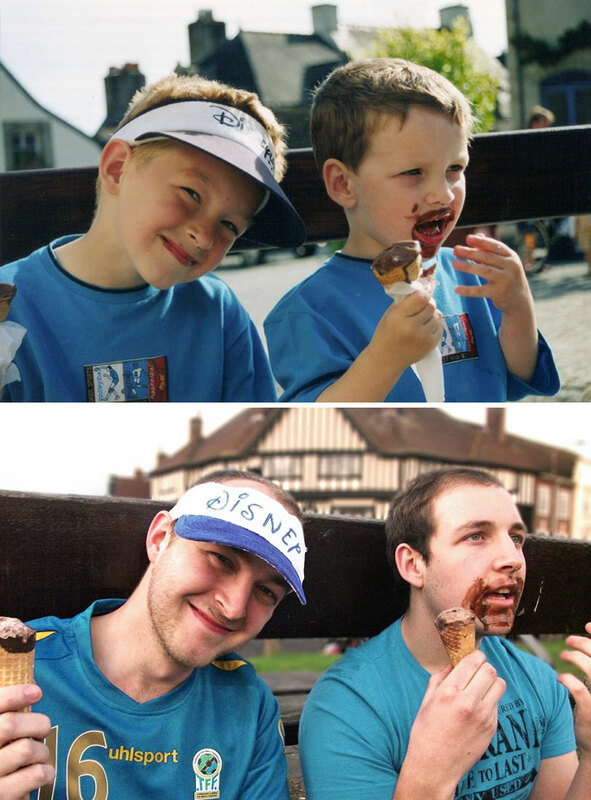 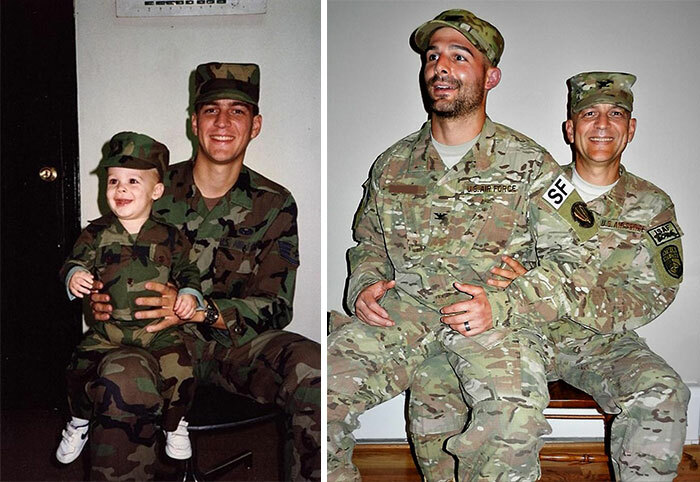 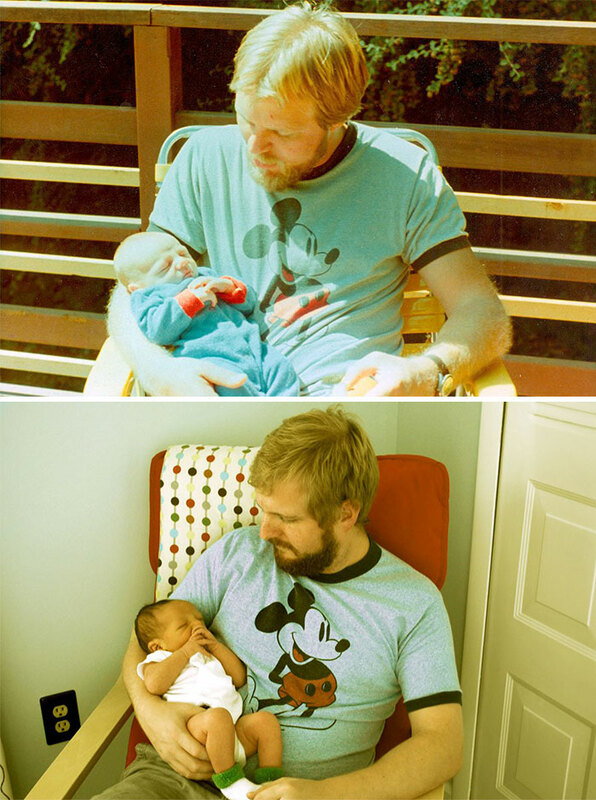 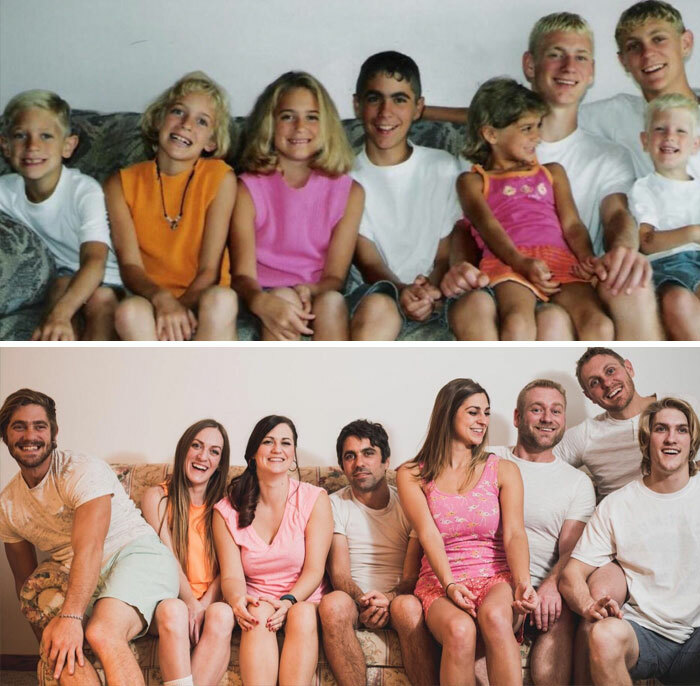 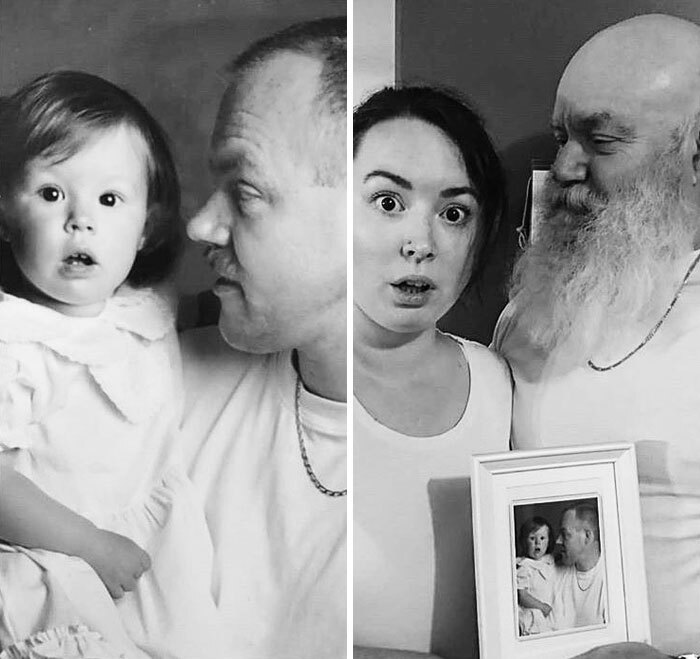 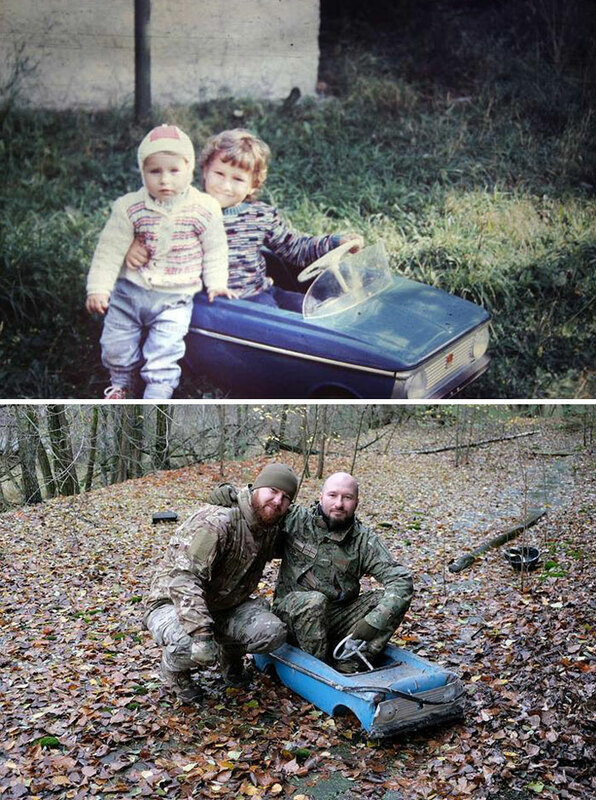 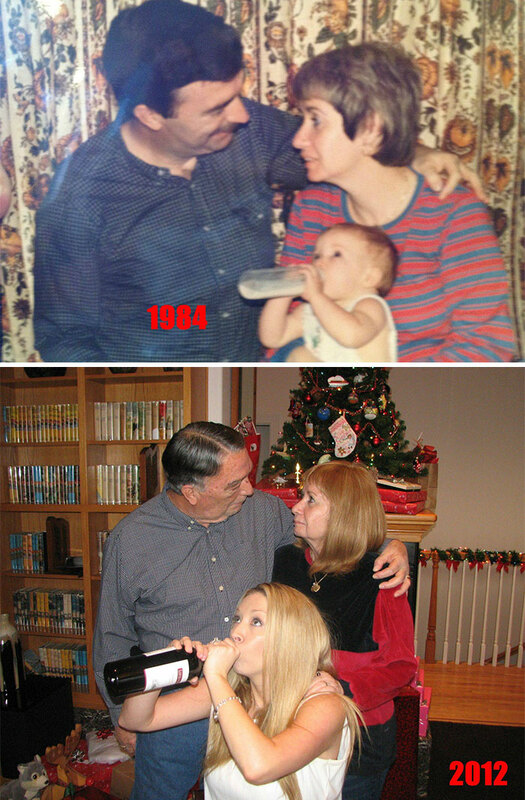 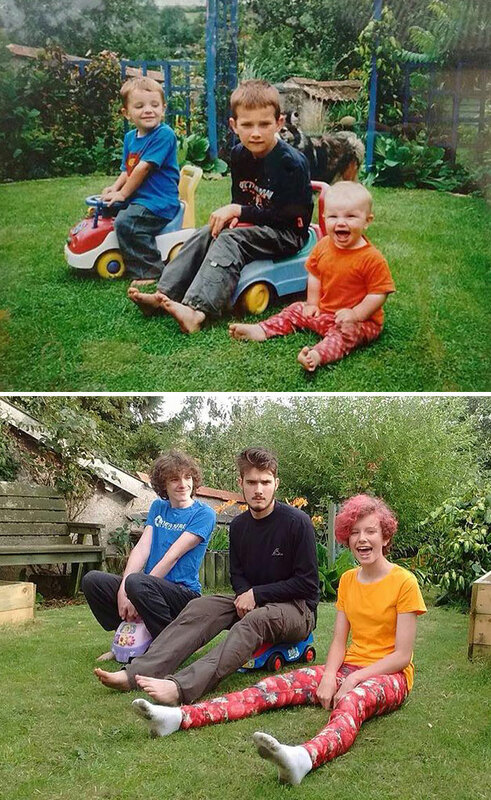 One of the main reasons for taking family photos is having the ability to recreate them in the future. 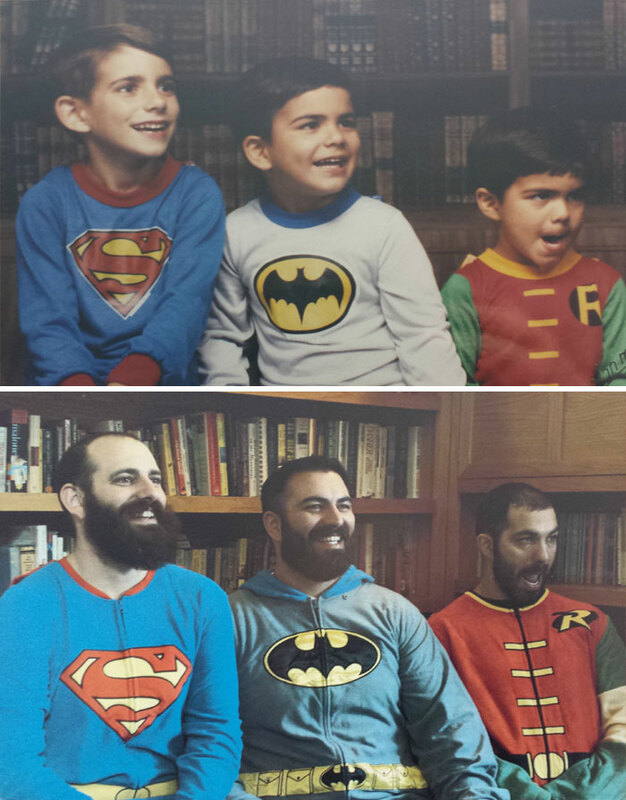 After all, it’s a perfect way to highlight the strength of your bond. 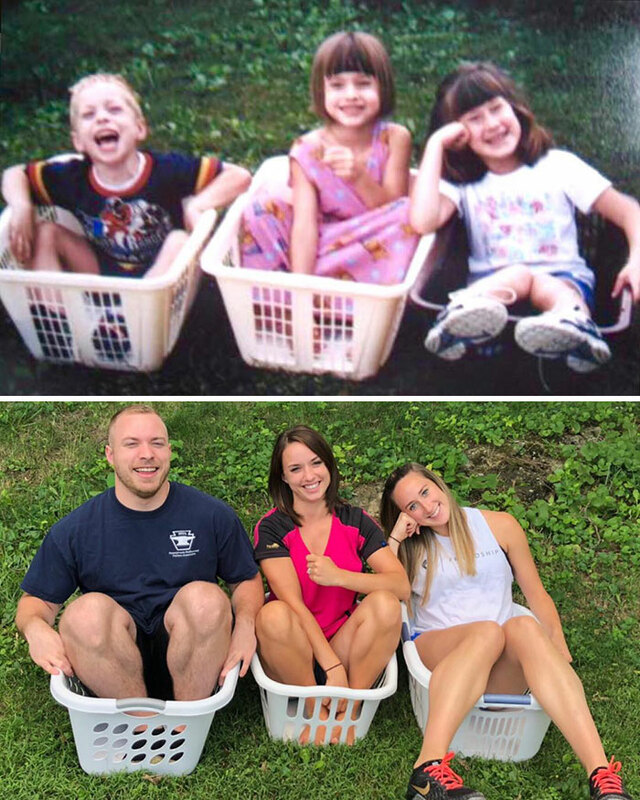 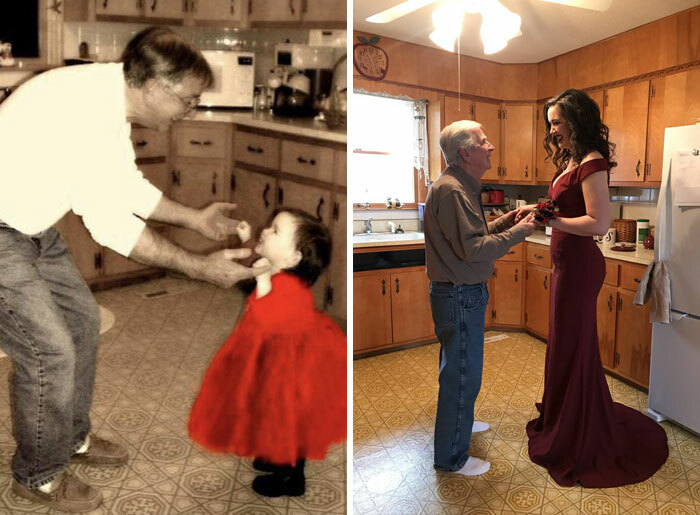 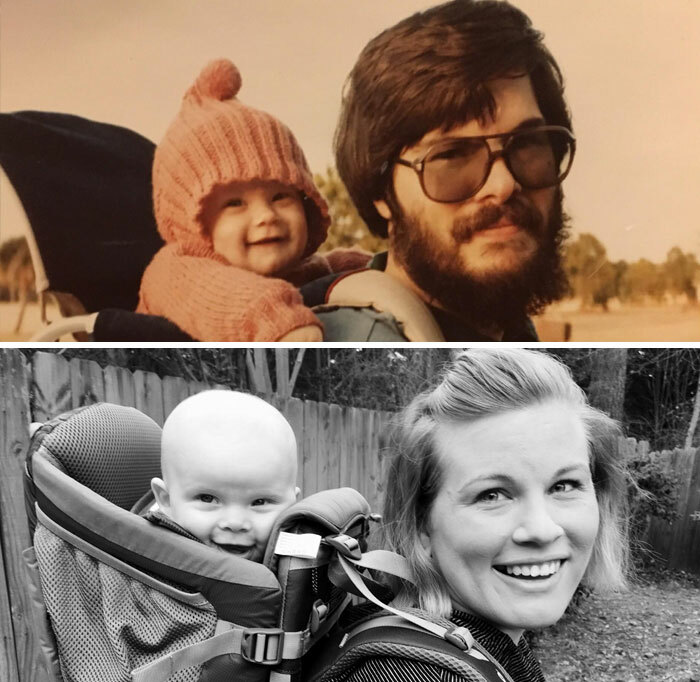 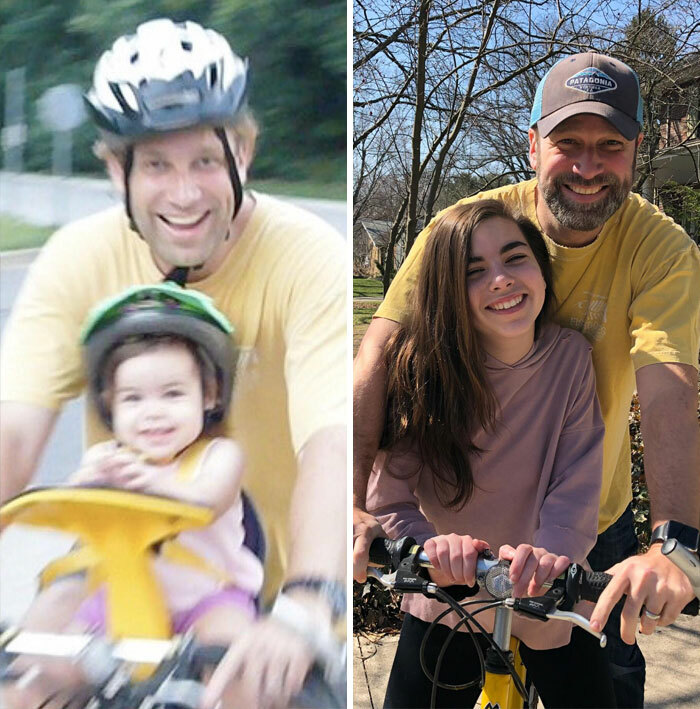 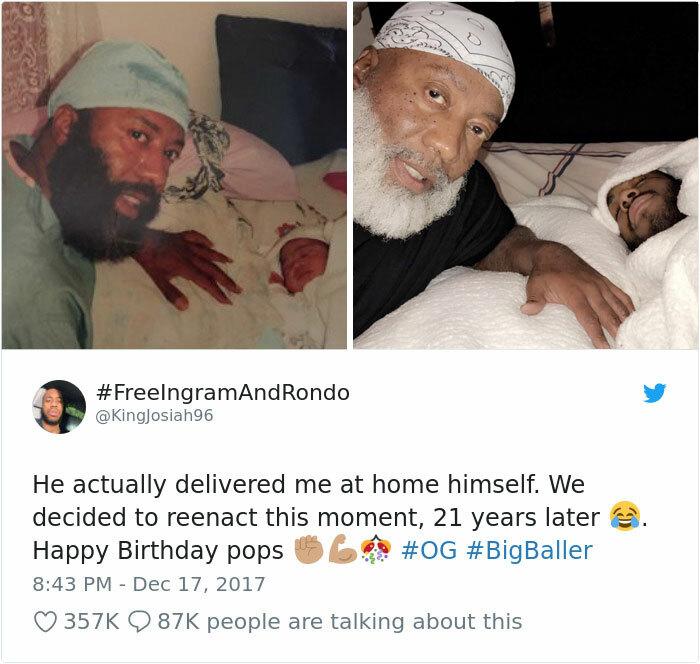 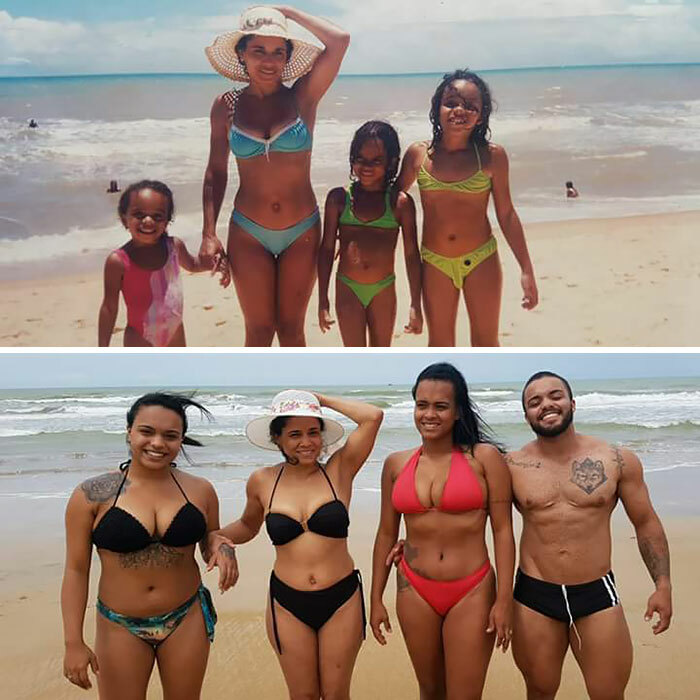 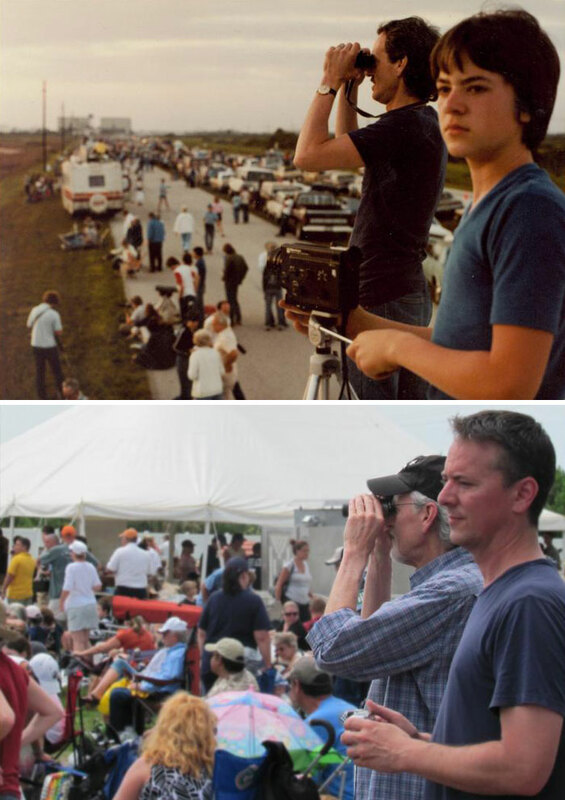 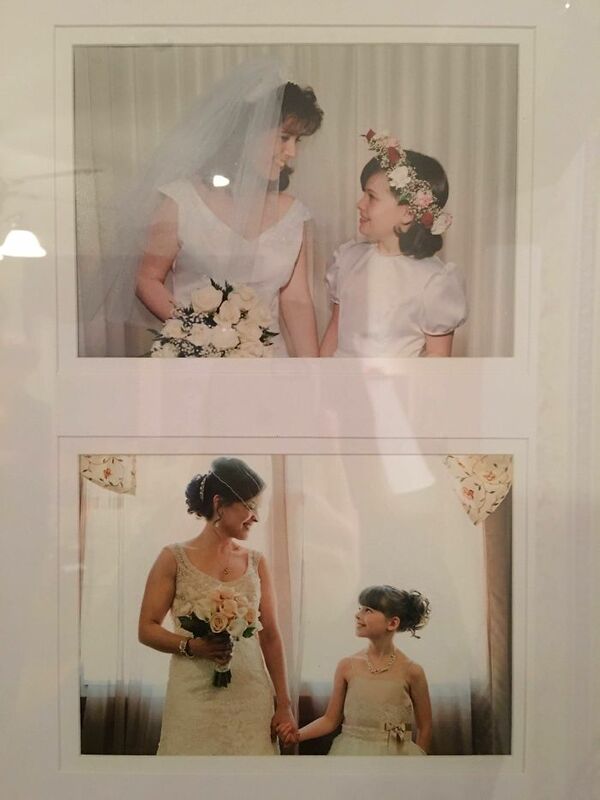 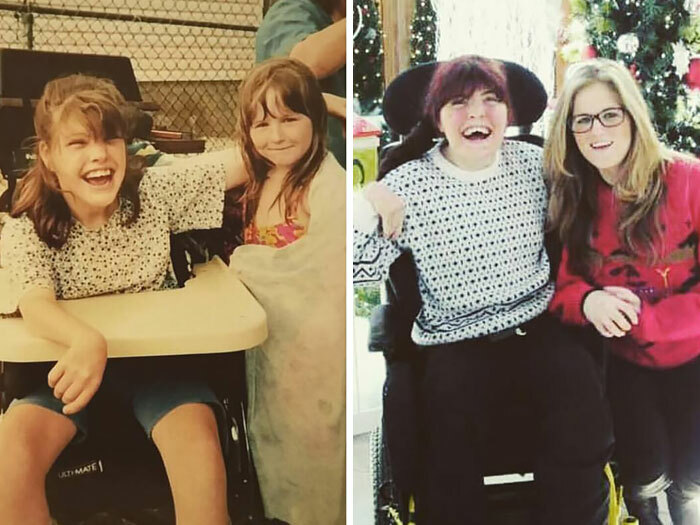 Looking at two side-by-side images that are 5, 10 or even 20 years apart yet feature the same people really does the trick. 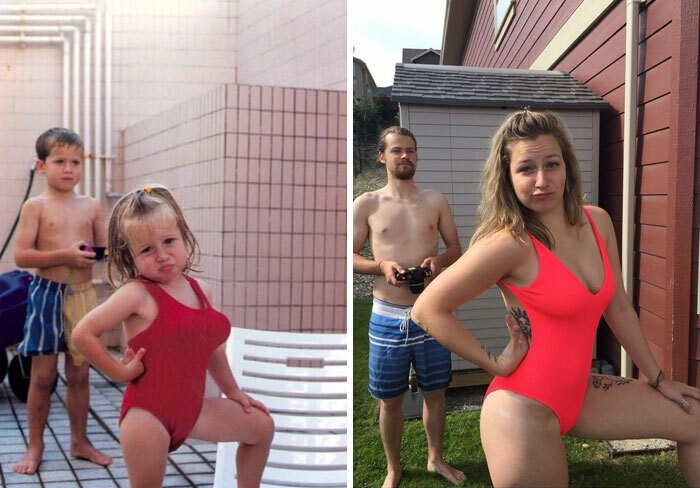 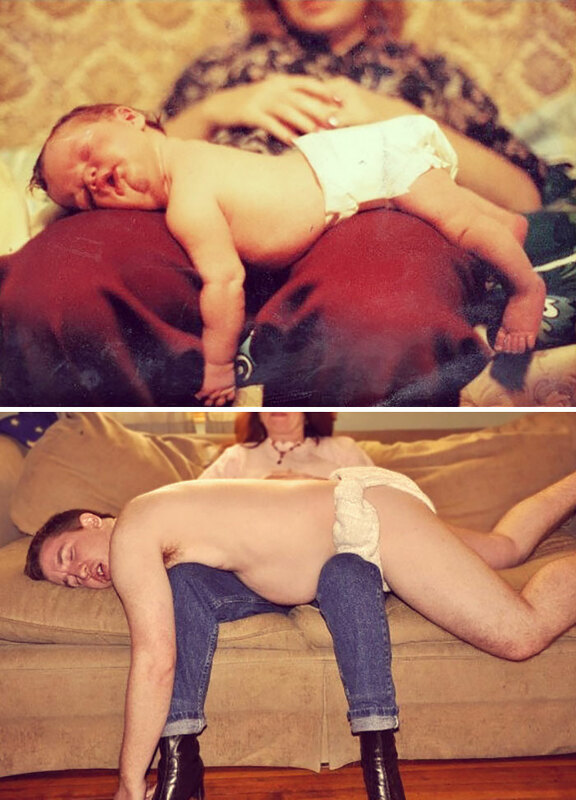 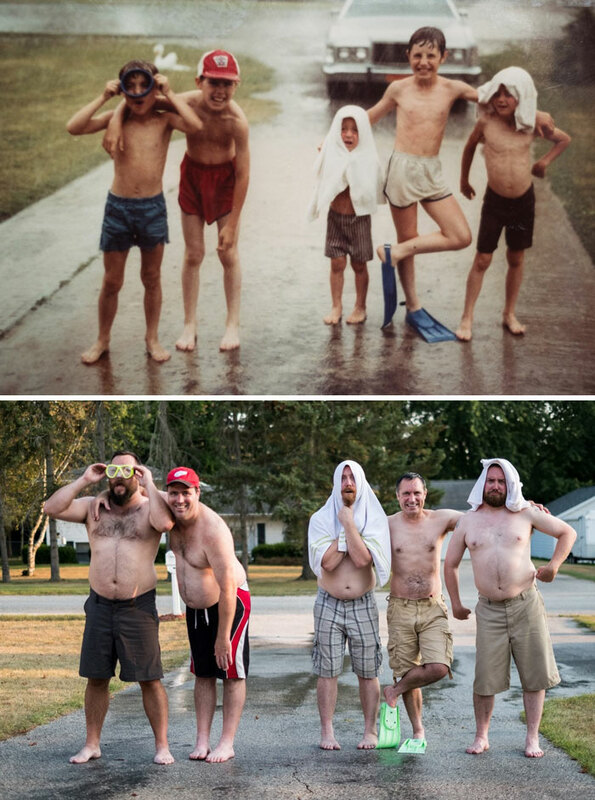 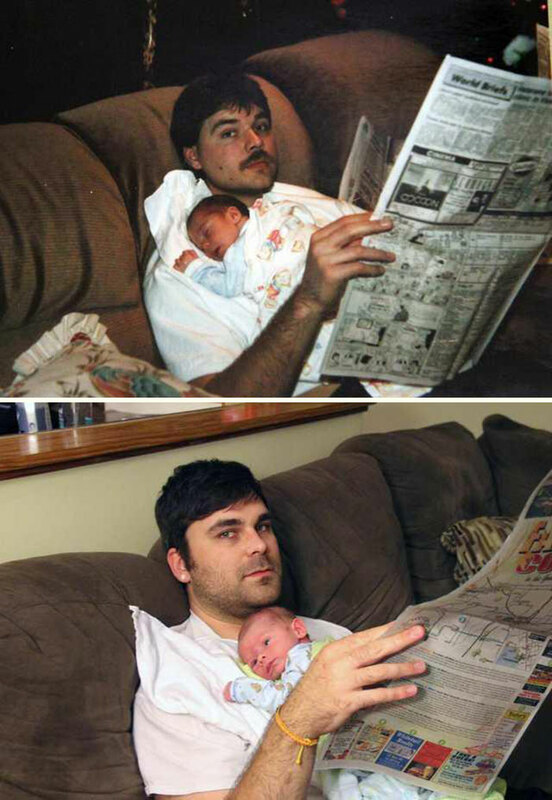 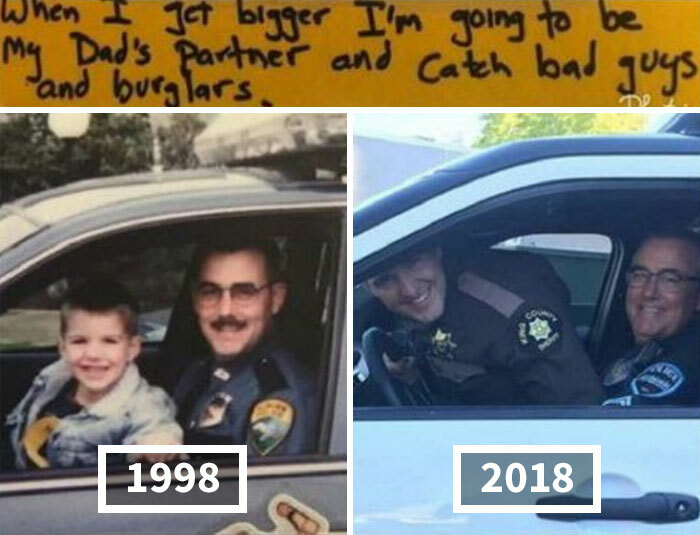 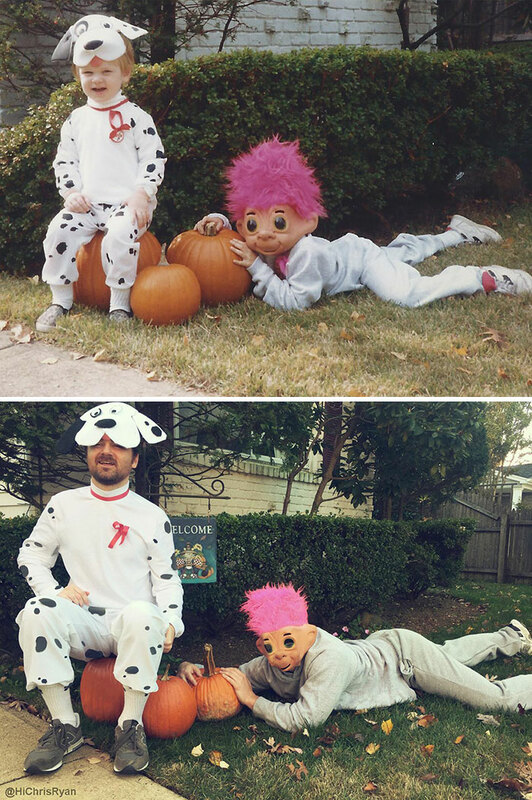 Bored Panda has compiled a list of some of the most creative old photo re-enactments to show you that there are really fun ways to go about it, too. 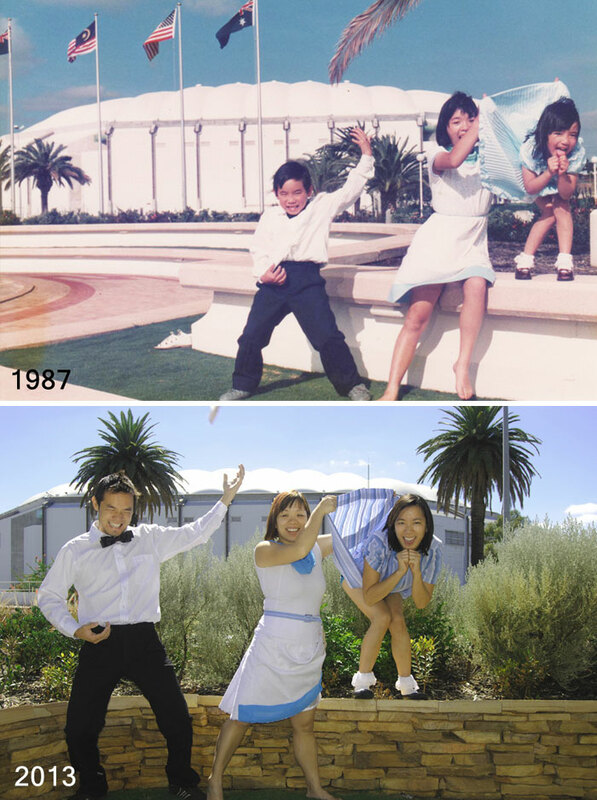 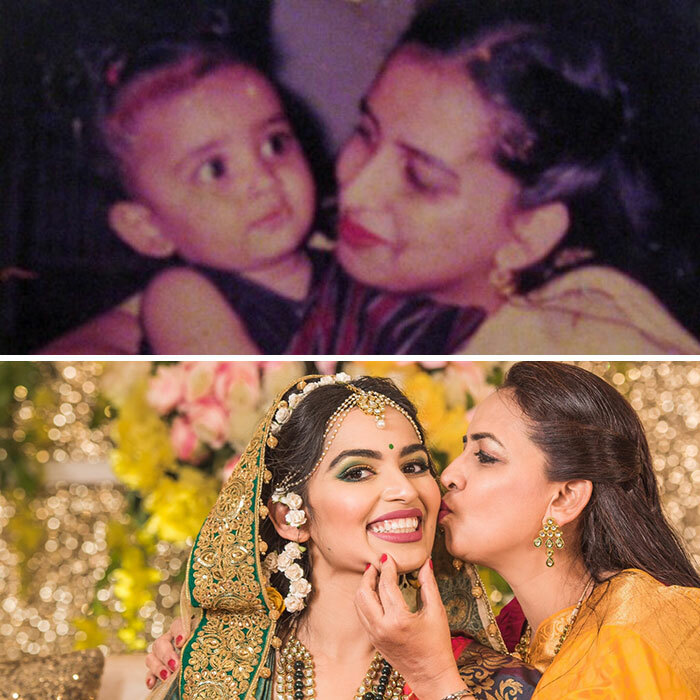 From visiting the same places to striking the same poses, these photo shoots remind us that while time flies, some things remain the same. 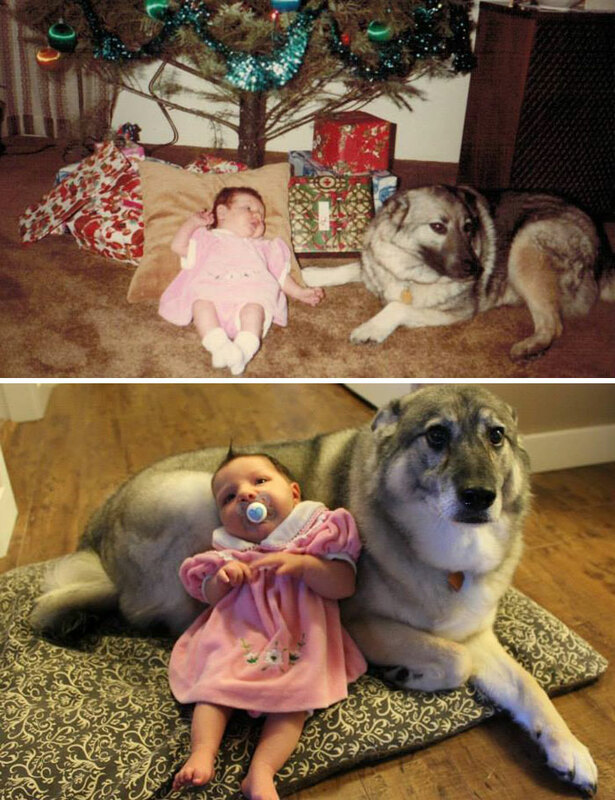 Especially, our love for one another. 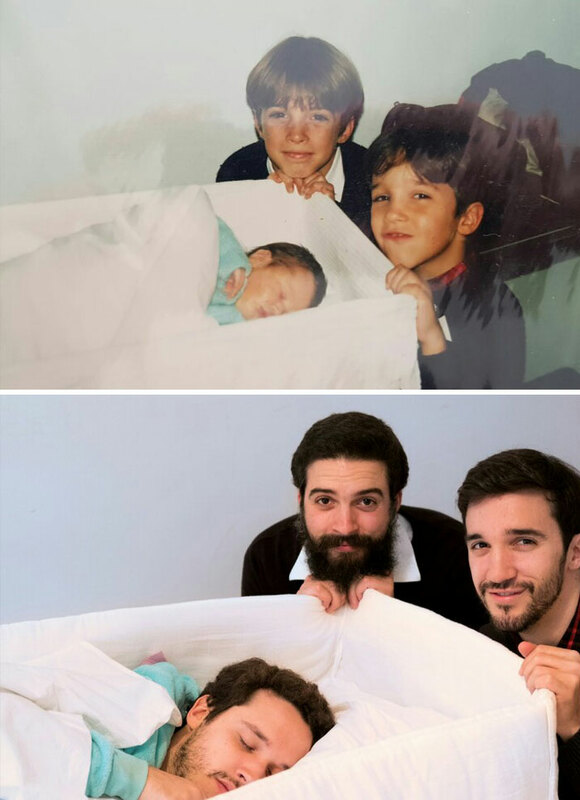 Scroll down to check out the series and upvote your faves. 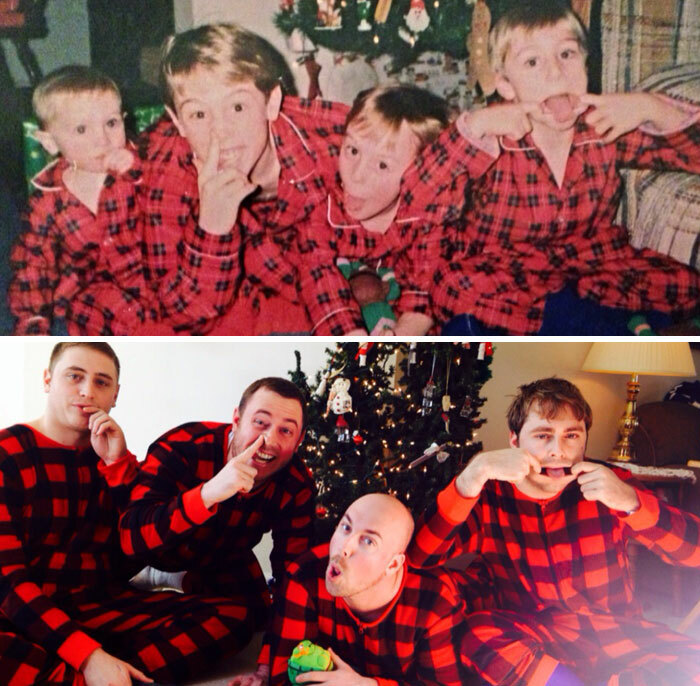 #48 Nailed It 15 Years Later! 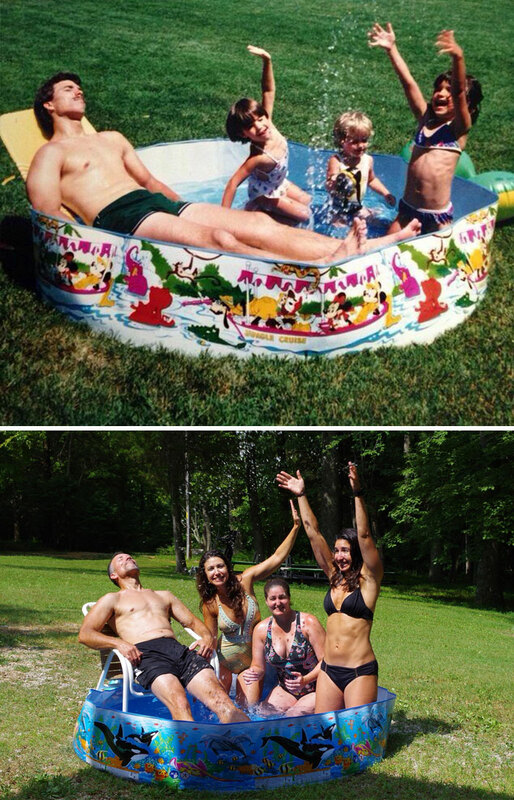 #52 My Family Recreated Our Photo In Front Of The NYC Skyline From 1999!